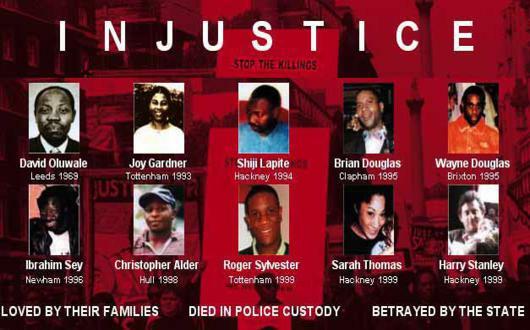 Come and join IWOC London and friends on Monday 17 December for a screening of INJUSTICE – Ken Fero’s award winning documentary about the struggles for justice by the families of people that have died in police custody. The fund will make small grants available for families and their campaign groups across the UK to provide practical domestic assistance, to further the work of their own campaigns or to assist them in engaging in other local, regional or national campaigns, events and initiatives. You can find out more about the history and purpose of the National Family Memorial Fund by watching this video. Come for 7pm for snacks and chats. The screening will start at 7:30pm, followed by a short discussion. See you there!